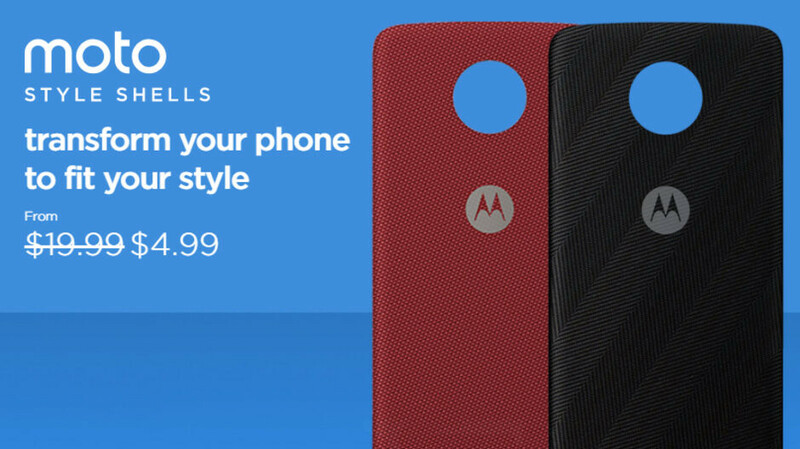 If you own any Motorola Moto Z phone and have $5 to spare, you can currently buy a pretty nice Moto Style Shell for it. In case you don't know, Moto Style Shells are swappable rear covers that change the look of your Moto Z handset while providing some basic extra protection (mind you, for serious protection you'd better buy a proper case, as Style Shells do not cover the sides of your phone). At this very moment, only two Moto Style Shells models are in stock at Motorola: Crimson Ballistic Nylon and Herringbone Nylon - pictured above on the left and right, respectively. These cost $4.99 apiece, down from the regular price of $19.99. Shipping anywhere in the US is $5, unless you purchase products worth over $75, in which case shipping is free. As implied at the beginning of this article, Motorola's Style Shells are compatible with literally all Moto Z smartphones released until now, including the new models of 2018: Moto Z3 and Moto Z3 Play. It's unclear for how long these Moto Style Shells will be priced at just $4.99, so you may want to hurry if you need one (or more) on the cheap. Bought 3 Moto Z Plays off eBay for $80-$107. Very thin glass & metal frame. I had to purchase a case to cover the entire phone. Style shells are a joke. It's like using a designer do rag/ bandanna as a helmet.